Specialists at Great Ormond Street Hospital believe Charlie has no chance of survival. The court agreed, concluding that further treatment would continue to cause Charlie significant harm. Charlie is thought to be one of 16 children in the world to have mitochondrial depletion syndrome, a condition which causes progressive muscle weakness and brain damage. His parents had previously seen a Supreme Court challenge to continue Charlie&#8217;s life support fail. 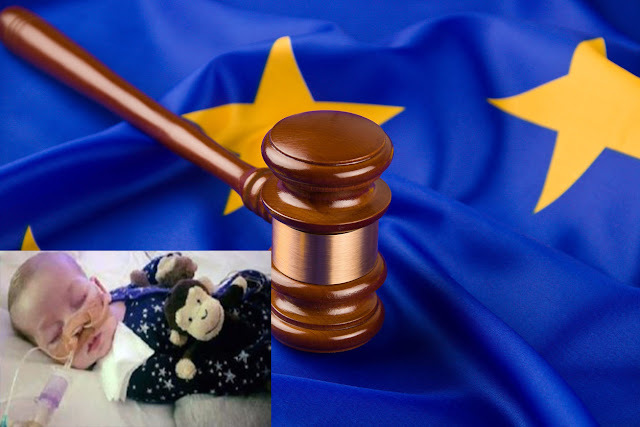 European Court judges have now concluded it was most likely Charlie was exposed to continued pain, suffering and distress and undergoing experimental treatment with no prospects of success would offer no benefit. The court also considered that it was appropriate to lift the interim measure which had required doctors to continue providing life support treatment to Charlie.